We are corporate governance lawyers and professionals who provide practical governance solutions to your company and your board. Our experience as board members and our years of in-house legal experience actually doing the work, implementing corporate governance best practices tailored to companies’ and boards’ particular needs coupled with our experience working with a variety of boards as corporate governance consultants sets us apart. We have seen first-hand which board governance practices can be most effective. Our competitive advantage is that we are seasoned governance practitioners and board advisors with a solid track record of working successfully with boards and board members. Kristina Veaco believes that sound corporate governance must be practical and tailored to the needs of each company. She founded Veaco Group in recognition of the growing emphasis on corporate governance and the need for expert advisory and support services to boards and senior management. She and her team provide practical corporate governance advisory and support services to public, private and nonprofit entities, including pension funds and their boards. They also specialize in providing independent board evaluations, skills assessments, governance audits, stock administration governance and other governance solutions to improve board effectiveness. ​Prior to forming Veaco Group, Kris advised public companies on securities law compliance and corporate governance as in-house corporate securities counsel. Most recently she ran the Office of the Corporate Secretary for McKesson Corporation, a Fortune 15 company. Her responsibilities included providing the legal and organizational support for the board and its committees, securities law, stock exchange and SOX compliance, stock administration and subsidiary maintenance. Prior to that, Kris headed the corporate securities group at AirTouch Communications, Inc. (now Vodafone Group plc) and her responsibilities included the corporate secretary function as well as securities law compliance. Kris is sought after as a speaker and panelist by a variety of professional organizations. She is a longstanding member of the Society for Corporate Governance (formerly the Society of Corporate Secretaries and Governance Professionals) and is a former President of the Northern California Chapter, a member of the Advisory Board and a former member of the national board of the Society for several years. Kris is also a Senior Fellow of the Conference Board Governance Center and was recently awarded a lifetime achievement award for her work in corporate governance at the Women's 100. Kris graduated from the University of California, Davis with a B.A. in Political Science/Public Service with highest honors. She was a Regents Scholar and a member of Phi Beta Kappa. She received her J.D. from Hastings College of the Law. Kris works with other experienced governance lawyers to make the right corporate governance resources available for your needs. Cheryl Sorokin consults on board governance issues, with emphasis on nonprofit governance and nonprofit boards. She recently joined the national board of the American Association of University Women (AAUW) and is a member of the Governance Committee. 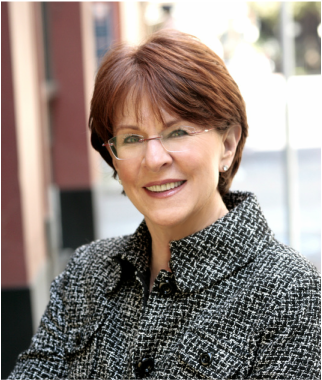 Cherie recently stepped down as a member of the board of the American Conservatory Theater and she continues to advise the board and management on governance matters. She is the current President of Marin Villages, Inc. Past clients include arts and human services organizations, a major bank, several large arts organizations and business and professional organizations and a number of individuals serving on nonprofit boards. 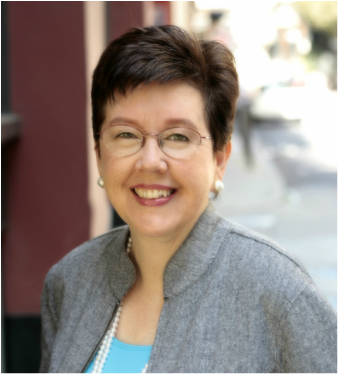 Cherie has both written and spoken on the topic of governance for nonprofits. She is also a frequent speaker at Society for Corporate Governance events on governance both for nonprofit and for-profit entities. She is one of the Executive Editors of the Nonprofit Governance and Management text recently published by the American Bar Association and the Society and is one of the two principal writers for this text. She led and co-authored the revision of Governance for Nonprofits: From Little Leagues to Big Universities published by the Society. Cherie is also a Senior Fellow of the Conference Board Governance Center. Cherie is the former Group Executive Vice President and Corporate Secretary of Bank of America, and was the first woman to hold this position at the bank. She is a member of the American Association of University Women, and the Society. She is the former Chair of the Corporate Practices Committee of the Society. She was a member of the national board of the Society from 1991 to 1994 and is the recipient of the Bracebridge Young Award, the Society's highest honor, given for extraordinary contributions to the Society and the governance profession. She is a member of the Advisory Board of the School of the Arts, Humanities and Social Services, Dominican University. She also manages real estate and other investments for the Sorokin Family Trust. Cherie graduated from Indiana University with a B.A. in Spanish, graduating with highest distinction, and an M.A. in education. She earned her J.D. from Northwestern University Law School where she was a member of the Order of the Coif.